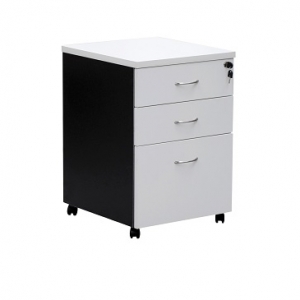 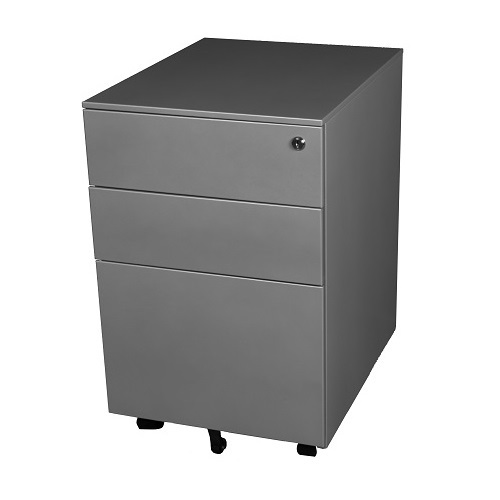 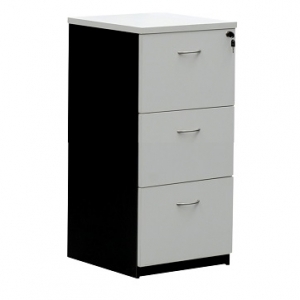 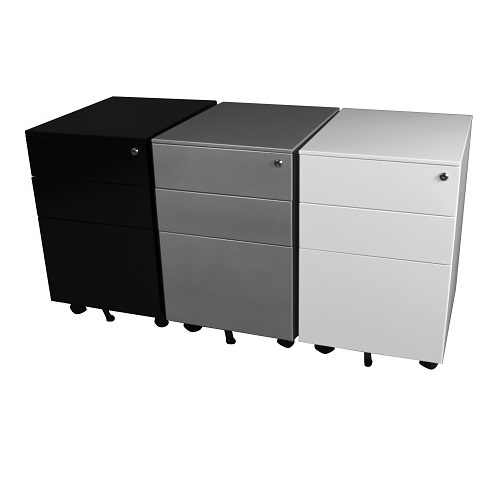 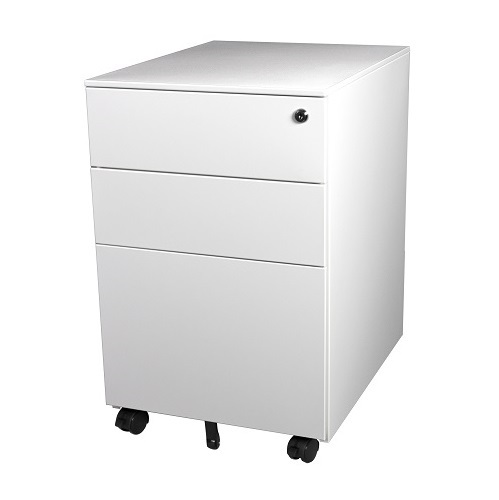 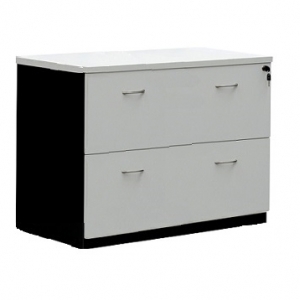 This modern looking mobile pedestal can be extremely beneficial to the office environment as they provide extra space for filing documents and other items, the Steelco Trimline 390W metal mobile pedestal 3 drawers lockable and includes pen tray. 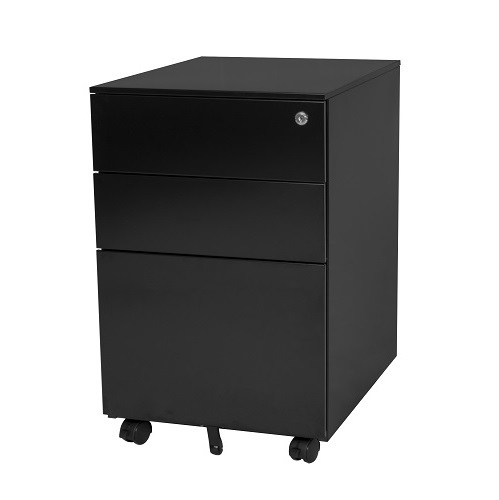 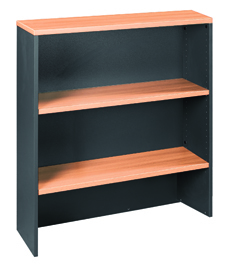 This pedestal will easily slide under desk or workstations. 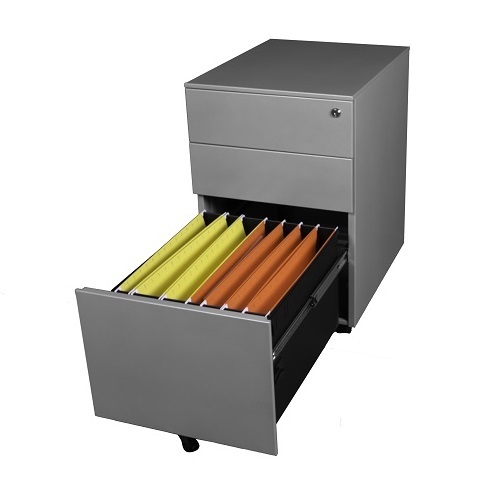 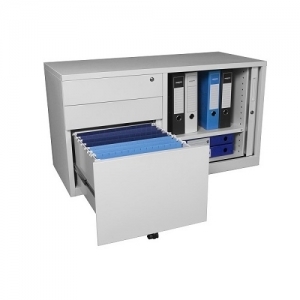 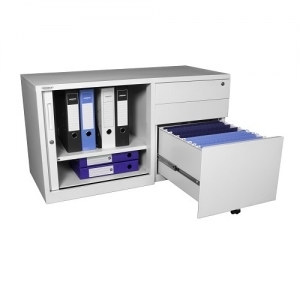 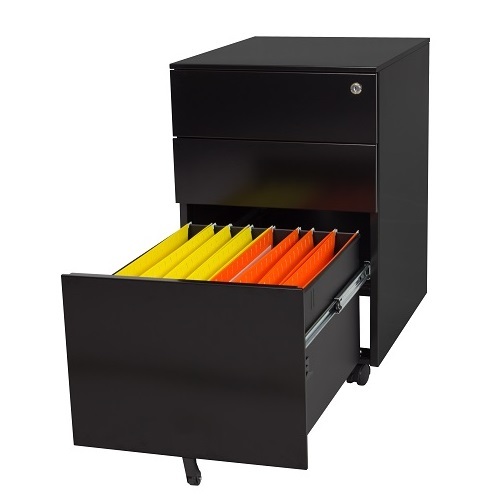 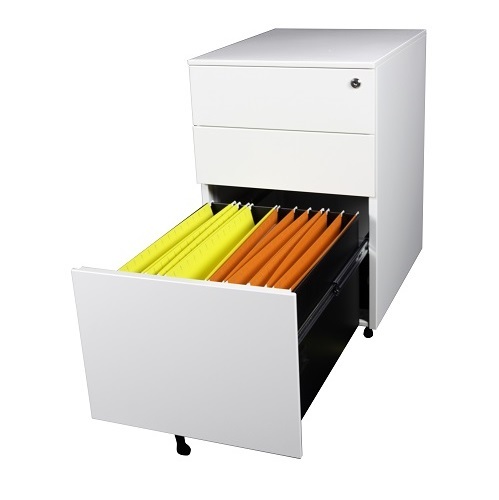 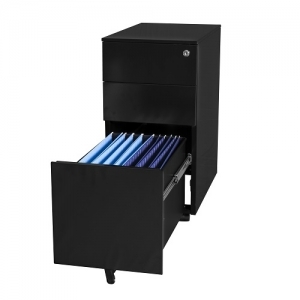 Filing drawer accepts foolscap suspension files – lateral hanging.